Sophsterlicious • UK Blog: Casino Inspired Nail Challenge. I was recently set a mini challenge to do some casino inspired nails and I couldn’t resist. Ladbrokes are currently promoting their new Casino Games and I do love the whole ‘bright lights of Vegas thing, and painting my nails, so I thought this would be really fun!. 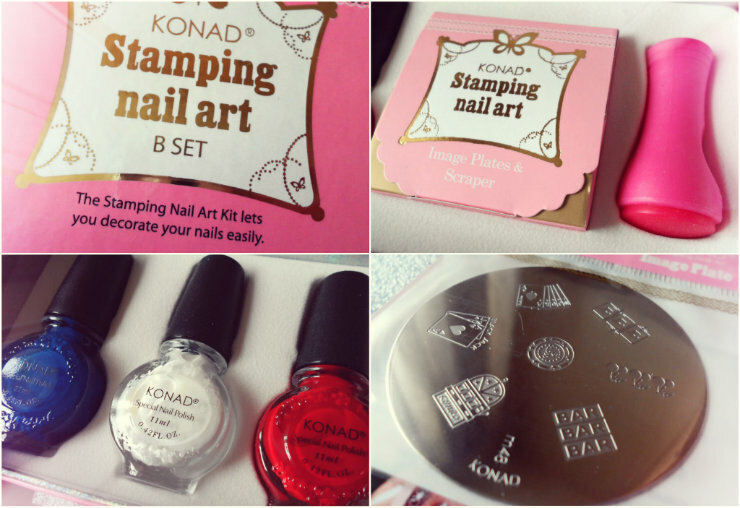 I think I’ve spoken about Konad before, but if not they do nail stamping kits that you can print onto your nails really easily… I hadn’t tried it in a while and I forgot how easy it was, but it was super fun. So there is my Casino inspired NOTD! I wanted to make use of the other colours but realised my base shade was a little dark, so I went with the white so that it really stood out (I did try a little red cherry on my little finger), and I thought I would add some glitter, because who doesn’t love glitz? Plus it’s very Vegas-y! I'm not the bestest at nails, but I think they look fun and would be great for a night out and with other colours. That's really cute! :) And the Hand Food looks promising! That is the cutest thing ever! Love it!!! Documenting my nail growth and design journey and these designs are very cute and inspiring! Thanks for posting!